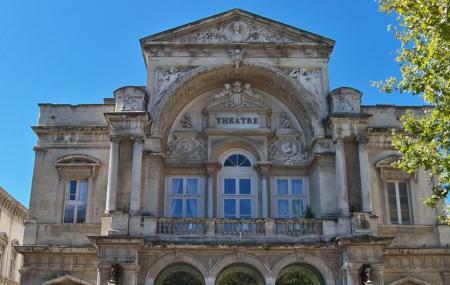 The Opera-Theatre along with the Vaucluse area is an important cultural centre for the city people and visitors alike. There are numerous musical shows and programs which strike a balance between audiences who like different genres. There are various opera, dance, theatre and music performances that attract a lot of tourists for spending quality time. A perfect fusion of classic and contemporary is also widely exhibited. A platform created for nurturing budding artists, catching up a performance here is a real treat for art lovers! Different programs have different entry fees. La table d'Hote "Hotel la Mirande"
How popular is Opera Theatre D'avignon? People normally club together Eglise Saint Pierre and Petit Train Avignon while planning their visit to Opera Theatre D'avignon.